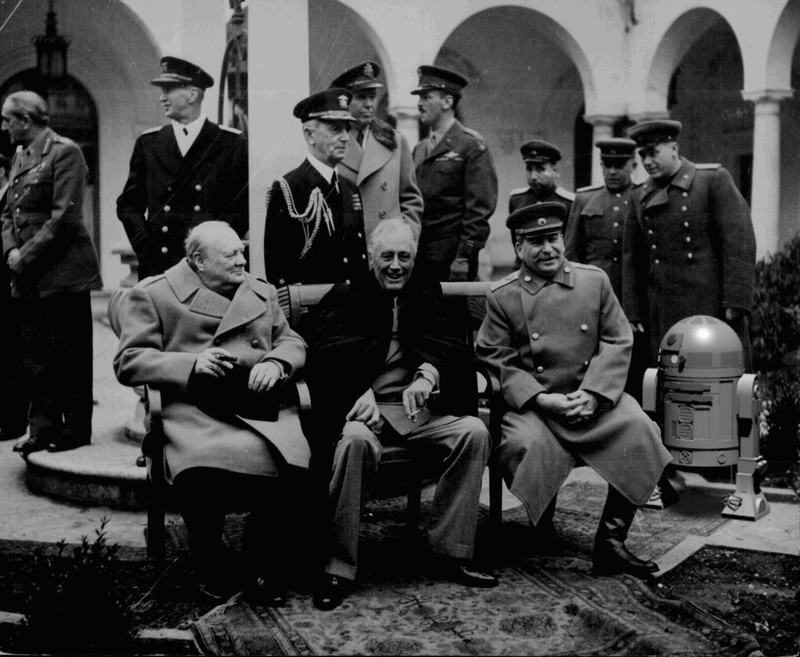 The Yalta Conference, February, 1945: Roosevelt, Churchill, and Stalin discuss impending victory in Europe and the prospect of a long war in the Pacific. Also pictured: Astromech droid R2-D2, whose work in counter-intelligence was crucial to defeating the Nazi’s secret super-weapon. In 1960, the Capitol Building underwent an extensive restoration and renovation, with particular attention placed to the ironwork in the dome. 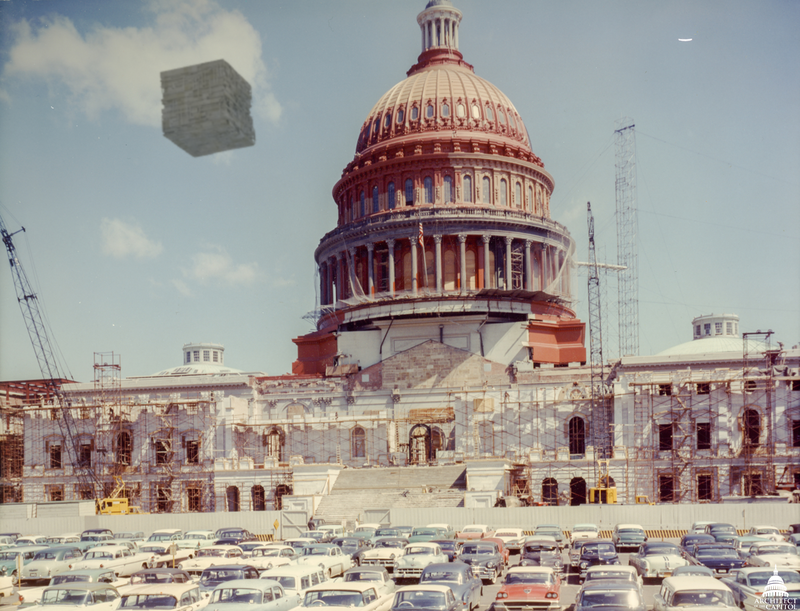 Also, a Borg Cube flyover caused mass panic. Elvis Presley is photographed with President Richard Nixon as part of a drug awareness campaign. 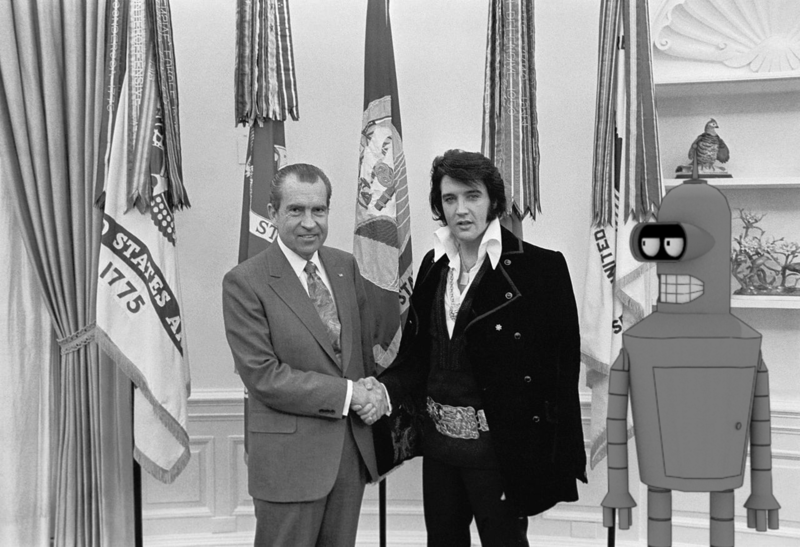 Also pictured: Bender B Rodriguez, who would go on to have an antagonistic relationship with Mr. Nixon in the 30th century.